[LINDEN PROMOTION] supports Hiroyuki Hayashida’s performance and productions and handles all requests for his performance, composition, workshop, etc. We also provide advice on tiko and oke daiko, hardware like taiko cases to software such as drum sticks, shoulder belt, DVD and other goods. Please contact us via phone, fax or e-mail. All units that Hayashida produces never fails to satisfy audience with their technique, power and music. Each unit has its own concept and accommodates various needs. Please see the Production page for details. 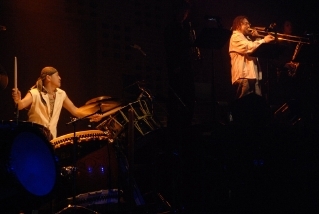 Hayashida’s music is reinforced by his unique ideas and incredible technique. Still and motion, soft and hard, slow and rapid… they are all collaborated in his exquisite spiritual performance !! The world of taiko music that never existed! Superb stage that the East meets the West. It’s an evolution of the taiko entertainment !! This incredible duo provides performance with great technique and unique ideas! BU-SON is a new-wave taiko unit that Hayashida produces with his experience of performing more than 1,000 times in Japan as well as 30 different countries. Hayashida can produce original music pieces with his unique experiences. He takes in all kinds of music genre. Upon request, he will spend a lot of time asking questions such as the instruments to be used, connection to other music pieces to be performed and the performance time. The production will be done on a music software, [Finale], and will be written on a usual music sheet. Please note that special symbols cannot be used. After producing the piece, he will continue to follow up. The fee for the production depends on the number of musical instruments and the performance time. Guidance will be billed separately. Each piece is a complete original piece and will not used anywhere else. 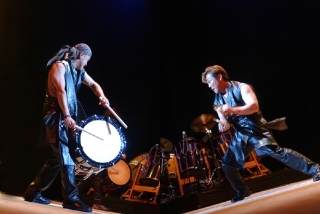 Wadaiko Sound "Yume no Mori"
Hayashida has a high reputation as a leading taiko player. He is a charismatic figure in the Katsugi Daiko category and will teach not only how to play the taiko but also production, performance skills and formation. He has established a theory or method, and he gives lessons according to the level of the participants. There is no particular condition for places for the lessons (excluding individual lessons). There is no limit of ages or experiences. 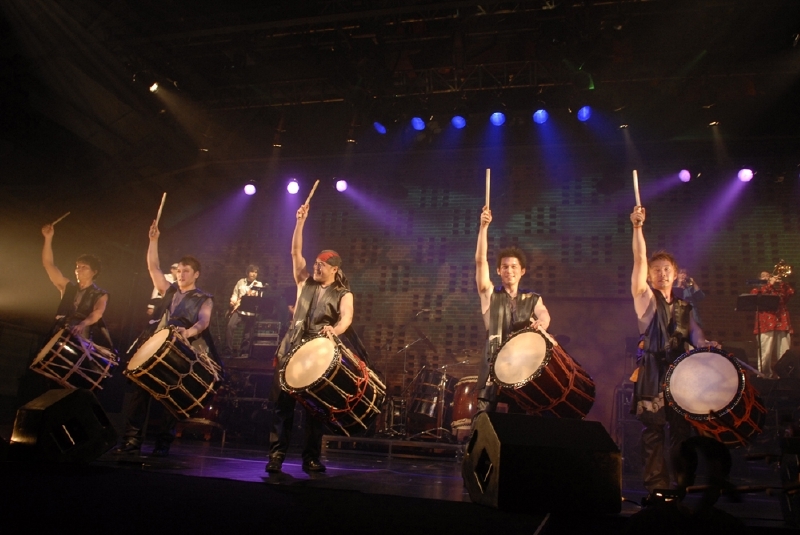 Only for Oke Daiko, we can provide up to 15 of them for lessons for a fee of 1,000yen per taiko. Lesson fees will be determined according to the needs of the participants. Please note that we may not be able to offer lessons for some special styles and/or music pieces. Besides lesson fees, we will also ask for transportation (toll fees and gas) and accommodation, if necessary. If it’s outside the Kanto Region, an additional fee will be charged as well. 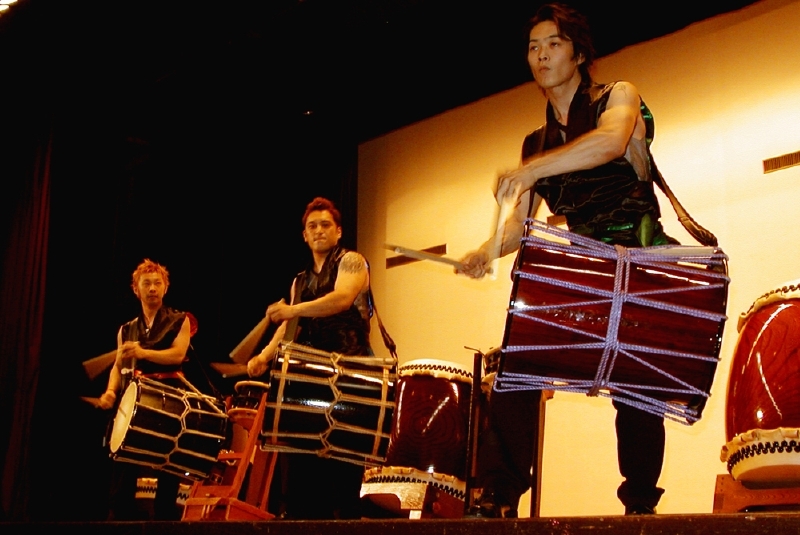 We welcome requests for workshops like the Ultimate Oke Daiko Juku (please see the Workshop page for details). We ask the organizer (individual or organization) to be responsible for PR, finding a venue, accepting participants and general management. There is no condition for the venue. Ages or the participants and the experience of playing the taiko varies depending on the workshop. 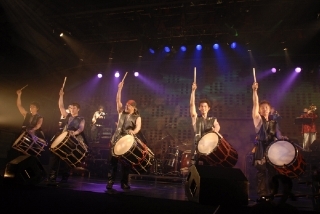 Only for Oke Daiko workshops, up to 15 taiko can be leased for a fee of 1,000yen per taiko. Lesson fees will be determined upon request.